Identifying ESI that supports a party’s claims and is responsive to discovery requests comprises the detailed work of document review. Both workflows are extremely similar in that constructing searches are one way to find the relevant ESI. In a discrimination suit, the Defendants filed motions to compel the Plaintiff to provide his Initial Disclosures, because of lack of specificity in his document categories, and for failures to provide damage computations or documents related to damages. Williams v. Corecivic, Inc., 2018 U.S. Dist. LEXIS 103856, at *1-2 (D. Kan. June 21, 2018). 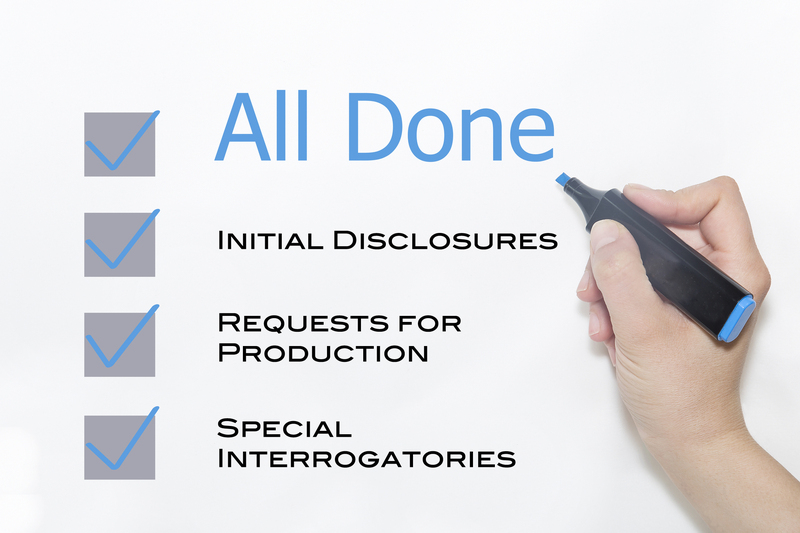 The Defendant also propounded interrogatories and corresponding requests for production. The Plaintiff responded to the challenged discovery requests with the following: “Plaintiff will produce relevant, non-privileged documents that are responsive to this request on a rolling basis as they become available.” Williams, at *16. US Magistrate Judge Gerald L. Rushfelt curtly stated: This is not an adequate response. Id. Declaring you will do a rolling production does not answer some very hard questions. What are you producing? How much data needs to be reviewed before you can complete your production? When will the review be completed? Are any documents or ESI being withheld because of privilege? The Court explained that a producing party has a duty to produce responsive discovery that is in their possession, custody, or control under Fed. R. Civ. P. 34. Williams, at *16. Moreover, a producing party has a duty to supplement discovery responses if they discovery additional information under Fed. R. Civ. P. 26(e)(1)(A). Id. However, the Plaintiff’s responses created a conundrum for the Court: Were there any responsive documents are in his possession, custody, or control, because a court cannot compel production for what does not exist. Id. The Plaintiff’s answer to the paradox was that he had not “withheld any documents or information from Defendants but simply asserted objections to certain discovery request (sic) to preserve them for trial.” Id. The Court ordered the Plaintiff to provide supplemental written answers to the requests for product that identified all documents that he has produced in response and providing specific Bates ranges, pursuant to Fed. R. Civ. P. 34. Additionally, the Plaintiff had to identify any documents not in his possession, custody, or control. Williams, at *16-17. The Plaintiff sought compensatory damages of $50,000 on his belief that his annual income was $65,000 and he had earned $16,000 when he was terminated. The Plaintiff also sought $500,000 in punitive damages and “equitable damages for lost benefits” and “other damages allowable by law . . . for embarrassment, humiliation, emotional distress, in an exact amount which is unknown at this time.” Williams, at *17. The Court ordered the Plaintiff to supplement his initial disclosures with an actual computation of any and all categories of damages claimed as required by Rule 26(a)(1)(A)(iii). Williams, at *17-18. Parties often keep their damage claims vague, because they don’t want to shortchange themselves. There is also the brute reality many times parties do not know the full extent of their damages when a lawsuit is filed. Whatever the rational, there is the requirement that parties must provide an actual damages computation as part of their initial disclosures. While it is possible for that number to go up, a party still has to provide a computation to comply with Rule 26(a)(1)(A)(iii).